In many parts of the world people are currently preparing themselves for the scorching temperatures. Spring has begun and they are enjoying days of long sunshine. As you can probably guess, I am not talking about the UK. I could have been saying this last year where Britain saw one of the hottest Marchs in ages. I'm no Met Office representative but I'm pretty sure that this is one of the coldest Marchs that we have had in a long time - que a WHITE EASTER. And yes, you read that right, seems like Mother Nature had other plans and thought she would grace us with a lovely freezing cold snowy Easter! 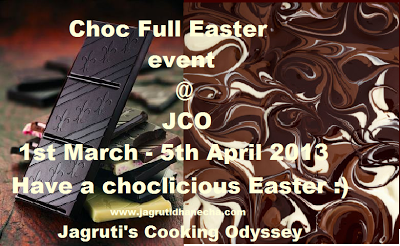 To mark the arrival of Easter, what better way than to have a go at making homemade chocolates. I think that it is a great way to involve the whole family. My daughter and husband especially seemed very keen (I'd like to see this happen when I'm making dinner everyday)! I'd learnt the art of chocolate making when I visited cake and chocolate decoration show in Farnham, and it was time to put my new skills to the test! I explained them to my daughter Hayley and she wasted no time at all at getting started. We decided on adding fruit and nut because it is such a wonderful flavour and is so easily recreated at home. There was no need to buy a very expensive bar of fruit and nut again! This also meant that we could play around with shapes! This makes these chocolates great for a gift and it shows that you have taken more effort than to buy chocolates from the shop! This proved to be so much fun, that we came up with so many more chocolaty ideas that we wanted to try. If only eating chocolate was allowed everyday! So I recommend watching this space very closely! It gives candies a desirable glossy appearance. It makes the chocolate easier to handle as a solid. It also gives a 'snap' to the chocolate when you bite into it. If you don't temper, chocolate can have a dull, matte appearance, develop spots, and be soft to the bite. We have used microwave method to temper the chocolate. Place chocolate in a microwave-proof bowl. Place the bowl of chocolate in the microwave oven. Set time to 30 seconds. Heat for 30 seconds. Take the bowl out of microwave oven and use a rubber spatula in a gentle sweeping motion to stir the chocolate, even if none of it has become liquid yet. Return the bowl to the microwave oven. Heat for 30 seconds more. Remove. And stir. Repeat the intervals of heating and stirring until about two-thirds of the chunks become liquid and about one-third are in soft lumps. The temperature of the liquid chocolate at this point will be about 100°. Continually stir to cool the chocolate until the soft lumps disappear and the temperature lowers. At this point the chocolate should be in temper and ready to use. Pour 1/2 tsp chocolate in a mould and add 1 tsp fruit and nut. By doing this fruit and nuts will stay in place and stick to the chocolate. Now add more chocolate in the mould and fill to the top. Gently tap the mould, so if any air bubbles are there,they will come out. Semi cool the chocolate at room temperature. Place the moulds in the refrigerator and let it cool and harden the chocolate for about 2-3 hours. Take the chocolate moulds out of the fridge and turn over on to the board. 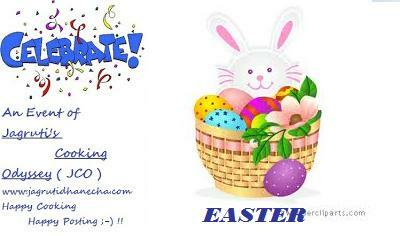 Linking this to my own event Choc full Easter and Celebrate - Easter event guest host by Shama and started by ME. wow yummy chocolates and lovely shapes ..
looking very yummy.going to try this.I have a doubt that milk chocolate chips is same as dark chocolate chips?. Poornima, Milk chocolate and dark chocolates are diffrent. In many countries dark chocolate called bitter chocolate too. Nice post; did you get the moulds in Poundland? They are identical to the ones I use in my kitchen. 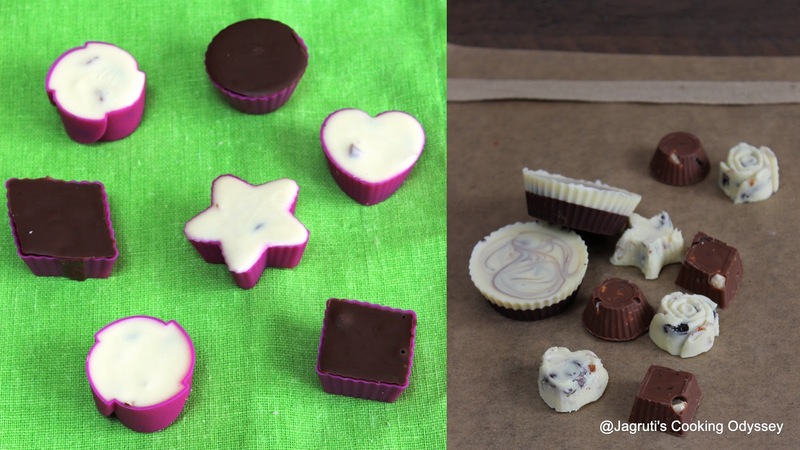 I made chocolates for Valentines' Day with mine (see my post on it) Let's hope the snow goes away soon and we can enjoy Spring at last! No, I bought them from one of the cash and carry in wembley, I got even cheaper than poundland ! wow,yummy little cuties,wish i could have those treats. Perfectly stunning outcome, looks so heavenly and really impossible to pop one into my mouth.